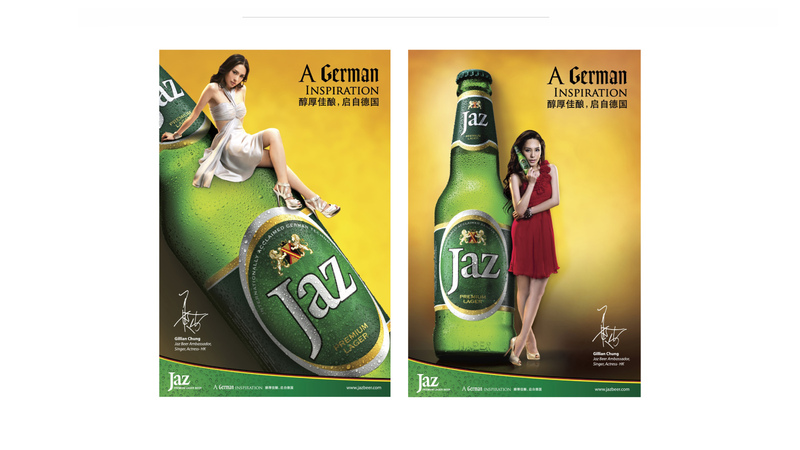 When Jaz Beer was initially launched into the market it did not create the impact intended. 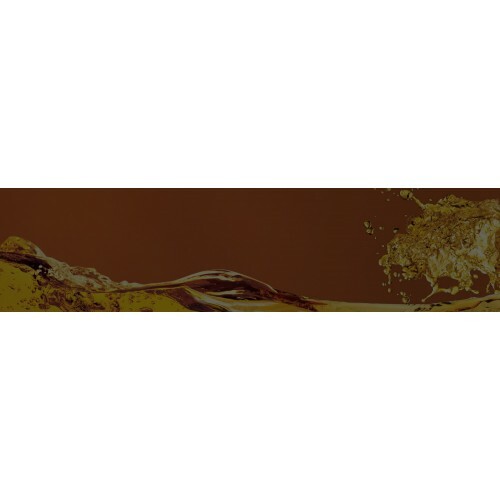 Response was poor, as consumers viewed it as a "coffee shop" beer brand. 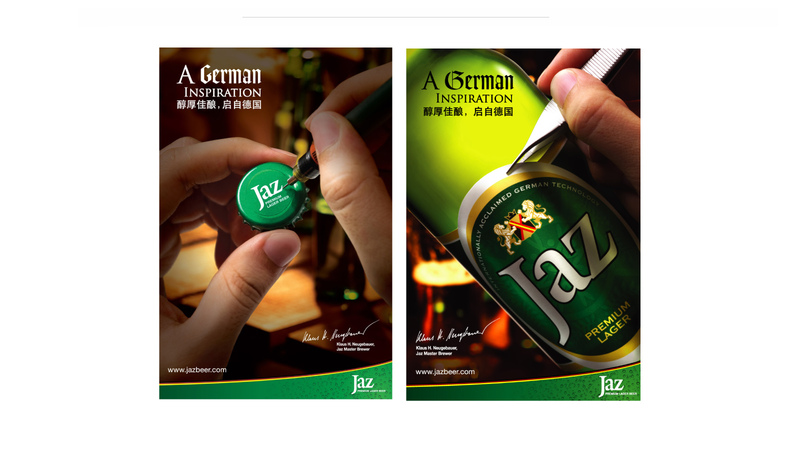 We were brought in to rebrand and reposition the image of the beer in order to create more awareness for Jaz amongst consumers. 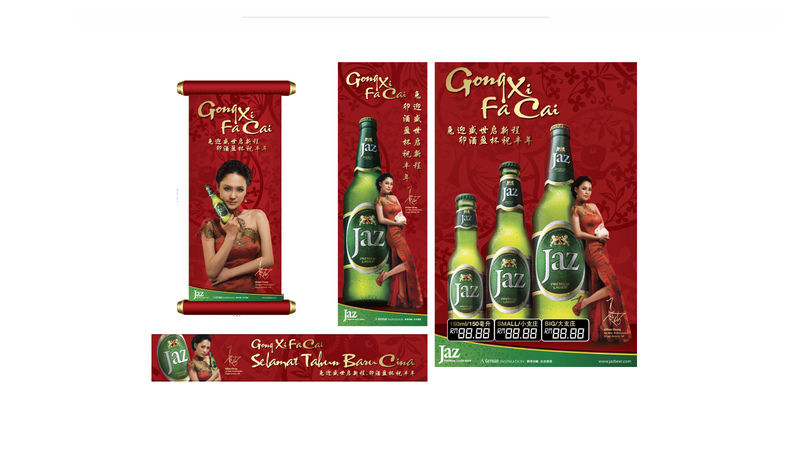 To improve the image of the brand, we advised Jaz to acquire its first ambassador, Hong Kong artiste, Gillian Chung. Making Gillian an ambassador instantly created a trendier image for the brand as all communication carried Gillian’s image and endorsement. 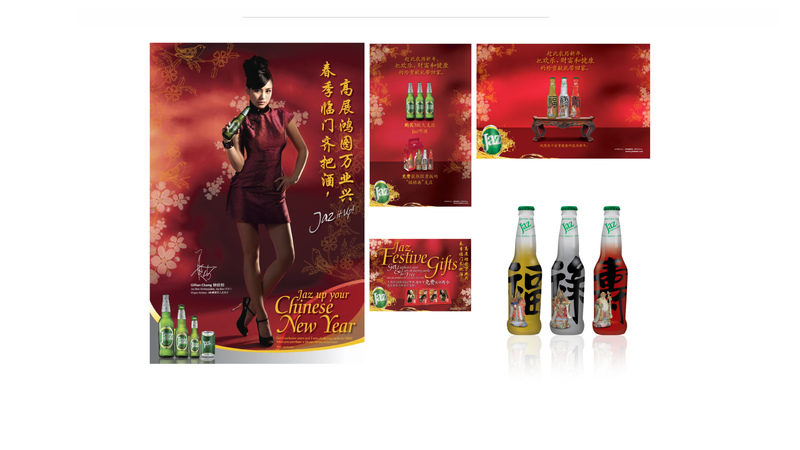 It enhanced the brand’s perceived value amongst younger consumers, making Jaz better known to consumers. 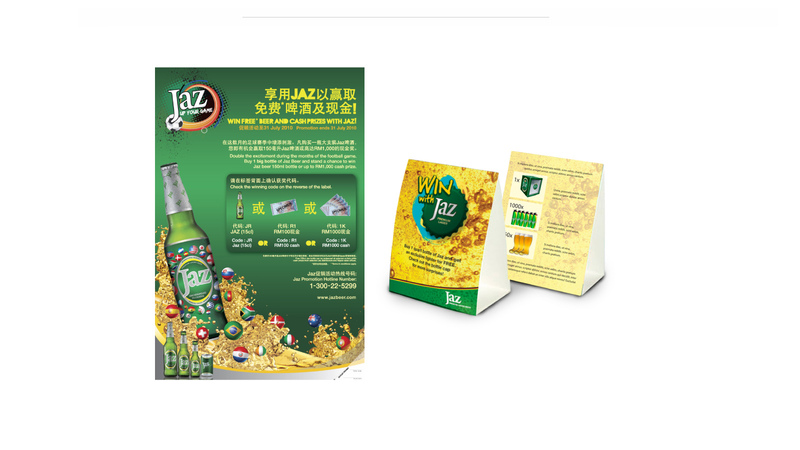 We were appointed to manage the branding and advertising for the entire Jaz product line for a span of four years.